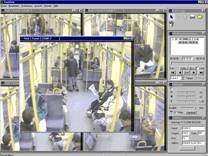 SIUSView features analysis software which can analyse and process the recorded SIUS image data. SIUSView can be run on a standard computer with Windows operating system. Individual parts of the image can be enlarged using the zoom function. All images including all relevant data can be printed on any standard printer. Contrast and brightness can be adjusted in the programme. For further image processing, the image can be exported to any selected image processing programme. Image sequences can be stored in original format and as AVI files. Individual images can be stored in bmp or jpg formats.